We love ourselves some fancy cot linen around these parts, even more so now there’s more babies than ever on the Babyology team! The New School Bedding collection began with the charming Not A Peep set in the popular unisex colour combination of grey, yellow and white. We’re excited to let you know that not only are there new designs in the collection, they’re also all available to fit single beds and have a range of accessories (think sheet sets, change pad covers and curtains) to deck out a whole bedroom. We love that the New School Bedding isn’t obviously cute – it’s more modern and stylish, with stripes and polka prints to distract before noticing that beautiful bunny, chick or whale silhouette. 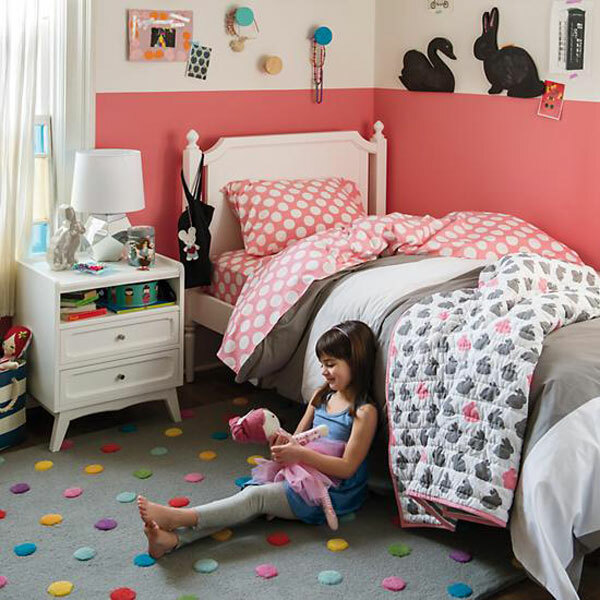 Hop To It introduces a splash of pink and fun grey bunnies to the scene and will look delightful in any little girl’s room, whether toddler or tween. 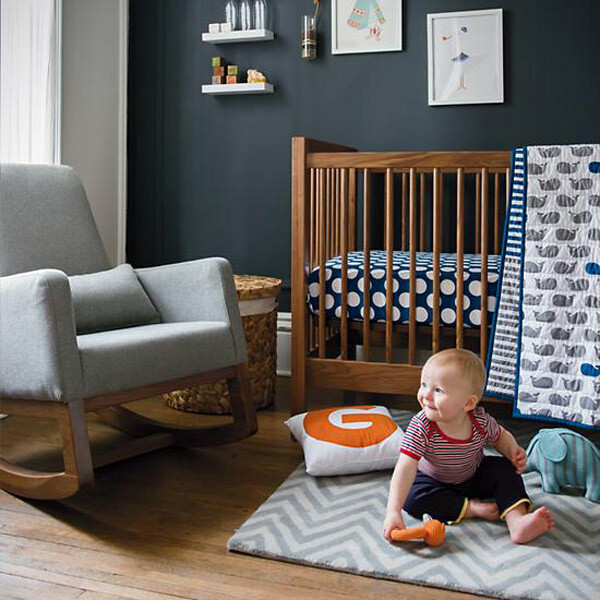 Navy and white has always been a popular calming choice for a nursery so we’re also digging the new Make A Splash design, pictured top – that whale print is sublime! The New School Bedding collection is priced from US$29 and available from The Land Of Nod. Delivery to Australia is available, you simply need to fill out the international order request form for a quote.